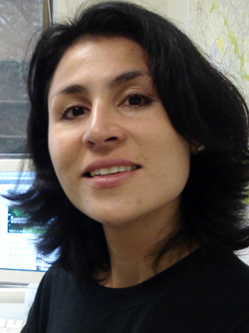 Tania Cruz Salazar's research extends from Chiapas to the border, then north to southeast San Jose and San Francisco. The young men begin their journey from villages in Chiapas, Mexico heading perhaps to Tabasco, Veracruz, Mexico City or Cancun before going to Tijuana, Sonora, and “The North.” Born and raised in the south, the men venture off in their teens, leaving traditions behind, seeking work inside the country. Soon, however, many cross the border into the United States. As indigenous Mayans they speak Tseltal, Maya-Lacandon, Tsotsil, and Ch’ol. Indigenous youth from Chiapas first appeared in California's fields in the late 1990s, according to Tania Cruz Salazar, a post-doctoral researcher in the Latin American and Latino Studies (LALS) department at UC Santa Cruz who studies international immigration patterns. In following years, migration patterns extended to Utah, Arkansas, Florida, Georgia, North and South Carolina, New York, Alabama, Mississippi, and Illinois, she says. Cruz Salazar was recently awarded a prestigious second-year fellowship from the UC Institute for Mexico and the Unites States (UC MEXUS) and Conacyt, Mexico's equivalent of the National Science Foundation, to further her research. Her proposal also won the UC MEXUS Monarch Award as the most outstanding submission this year. UC MEXUS encourages collaboration between scholars in the U.S. and Mexico. Cruz Salazar, who received her Ph.D. at the CIESAS, Centro de Investigaciones y Estudios Superiores en Antropología Social in 2006, will spend the next year and a half at UCSC writing about her research on immigration by indigenous youth and teaching a class, "Anthropology of Youth." "Tania is part of the next generation of researchers," said Jonathan Fox, LALS chair. "Her specialty is she brings an analytical lens that focuses on youth and their transition to adulthood. Her focus has crystallized new conversations across disciplines and perspectives on how we can understand the migration process. She is a very skilled ethnographer who has discovered communities that most people didn't know existed." Emigration from Chiapas doubled from 1995 to 2005, Cruz Salazar said, prompted by an agrarian crisis, violence in the region, and two successive hurricanes. Later, while teaching at Chiapas University she read a book that Fox edited, Indigenous Mexican Migrants in the United States. She recognized that a lot of her students fit the portraits Fox and his co-authors painted, young men leaving their villages for work in the north. She had long studied youth and was intrigued by how they see themselves and adapt (or not) in different cultures both in Mexico and in the United States. Her research probes how youth are understood in Mayan culture and how inter-ethnic relations change in Chicano and Mexican-American cultures. It's a difficult life for the young men when they leave family ties behind. Despite their intentions to either return or bring family members to this country most seldom do, in part because of stricter border controls. As a result they find work and survive in cultures foreign from their own even among other immigrants. The young men settle on San Jose's southeast side, in San Francisco, Fresno, Madera, Los Angeles and Westminster. Landscaping is a primary occupation, Cruz Salazar said. Others are roofing, construction, and restaurant work in the cities. The ones who marry and raise families or become connected with the church are generally more successful, she said. Through surveys and extensive interviews Cruz Salazar documents how the young men build a specific migration culture through purchases of certain kinds of clothing and cell phones, dating patterns, and language adaptations, using mixtures of Spanish, English and their native languages. "They are not victims," she said. "They are actors, they have a lot of agency. When they migrate they are criticizing their country, they are changing their present and future."